When the remote and rural Tolaga Bay community approached Allan Wilson Centre scientists about a tree planting project in 2011, an amazingly successful partnership began. The project blossomed in scope. It normalised a scientific approach across the community. Funding was lost, but other funding gained, and some of the collaborations continue to this day. 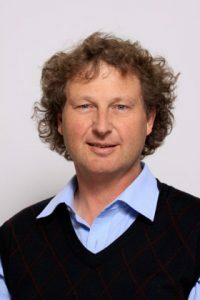 Professor Hamish Spencer, who led the initial group of scientists through this process, recently won the Callaghan Medal for this outstanding contribution to science communication in New Zealand. Here he talks about the secret of a successful community partnership and some of the surprising benefits to be gained. What is the most important part of a community partnership? The relationship is what really matters. They came to trust us and we came to trust them. We couldn’t have done half the things we did if that hadn’t happened. But the other side of it is that you also need to make sure that the work that you’re doing goes on after you’re not there. The Allan Wilson Centre funding has come to an end, which I think is really sad, but that’s the way it’s happened. And yet work is ongoing. Some of the people who did the work on the ground at Tolaga Bay are still involved in doing environmental work there. What advice would you give a scientist who wanted to build a successful community partnership? Don’t expect things to happen immediately. If you want to do it, you’ve got to do it properly, you’ve got to put the time in. That’s because you have to build up a relationship and in my experience that relationship is built on personal connection. The other important aspect is to choose your community carefully. When we first went to Tolaga Bay it was the community that approached us – they wanted to talk to us about some tree planting that they’d done next to the river. It was really from that little seed that they realised they had a much broader vision of what they wanted. Even so, suspicion is not quite the right word, but the Tolaga Bay community were a little cautious with us at first. I think they’d had the experience of people coming in from outside and offering them advice and then disappearing. That’s a terrible thing to do. It takes three years to really start to build something. If you can make it go even longer it can be really, really powerful. Were there surprising outcomes, as scientists, from being involved with a community in that way? Community partnerships are most rewarding in ways that you won’t expect. You become friends and friendship is rewarding in all sorts of unexpected ways. It turns into something where the information and knowledge flow both ways. I learned a huge amount about what the people at Tolaga Bay knew about their flora and fauna. But they also learned from me, and that exchange of ideas is really powerful. One of the things that you do as a scientist, when asking a research question, is look for a really good model in which to answer it, because usually you’re wanting to answer a broader question. You’re trying to find a system that epitomises what the problem is but also presents in a way that is tractable to your line of investigation. When we went into Tolaga Bay it wasn’t clear to me that there were research questions there that would be of interest to some of our Allan Wilson Centre scientists. But it turned out that there were. One was a project that Nigel French’s group did on water quality. It was of value to the Tolaga Bay community but it was also valuable to his research programme. This came about because the Tolaga Bay community has a number of issues with water quality and they wanted to know more about the sources of contamination. A lot of the town is on rainwater as their supply. They also have some bore water and one of the sources was contaminated and they didn’t know where the contamination was getting in. They also wanted to know something about the water quality of the sea water because of the effect it has on seafood that they collect and harvest. We were able to help them with those issues and the water quality there is now better than it was before because they know something about how to improve it. What sort of research was involved with that? If you can detect the source of contamination in a water supply, you might know how to stop it. Professor Nigel French’s group is very interested in using different genetic techniques to distinguish, at a finer level, sources of contamination. One of the things he’s been doing is looking at the different microorganisms that can contaminate fresh water supplies. If you look at it very carefully it turns out that there are different strains or species of microorganisms that might infect Pukeko, or might infect sheep. The Pukeko ones don’t effect affect people but the sheep ones do. At the level of testing we could do before you would just detect that there were these microorganisms in the water and you could spend a lot of time trying to get rid of them, although you wouldn’t really know the source. Was it birds or was it sheep? Yet you really only need to worry about the sheep ones. You can see how understanding those kinds of issues would help. Did you have any research projects that benefited from your involvement? I had hopes that there might be. There was a marine snail called Cominella tolagaensis which is from Tolaga Bay, obviously, with a name like that. I’d hoped that I’d be able to find some in that area and use them in a study of the evolutionary tree of that genus, Cominella. But unfortunately we couldn’t find any at Tolaga Bay. To me that was interesting, and perhaps a little sad, because what it means is that the marine environment at Tolaga Bay has changed dramatically in the last 50 years. And that is connected to another problem that they have. When you go on the beach there are unimaginable amounts of driftwood, which is actually slash that’s come down the Uawa River from the forestry. Nobody wants it there: the forestry companies don’t want to be losing wood down the river, that’s all waste as far as they’re concerned; the kids at the school hate it because it’s all over their beach; and of course it’s not just wood that’s gone down there but vast amounts of silt. What I think has happened is that Tolaga Bay itself now has much more silt over the bottom of the bay than it ever used to. And so the snail, Cominella tolagaensis doesn’t live there anymore. They’re not endangered overall, but they’ve had their habitat reduced. One of the things that would be interesting to do is talk to some of the older people and see how the fisheries have changed. Because I’m quite sure that the fish you get off the wharf will be different now from what they were fifty years ago. These interviews are supported by the Royal Society of New Zealand, which fosters science, technology and the humanities in New Zealand. See more information on Hamish winning the Callaghan Medal.